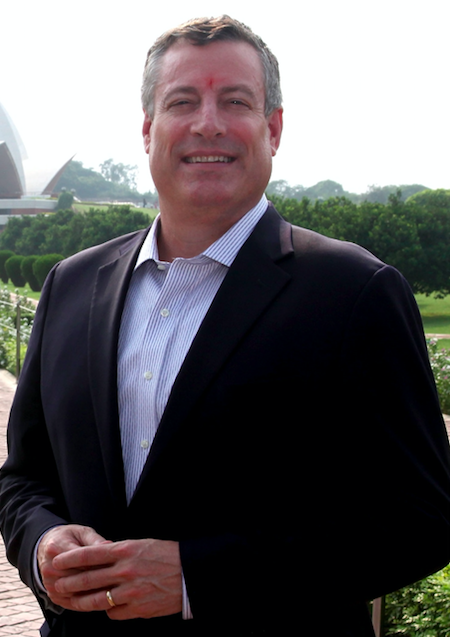 Flaherty, who is on a visit to India, spoke to PRmoment India about fighting fake news, Ketchum Sampark’s future growth plans, the gift that is the advent of social media, CSR plans and what companies should do during a promoter-CEO spat. Outlining the shape that fake news takes for corporate and brands, Flaherty said that there is ,“ Increased use of click bait and an effort to pull away people from looking at a certain brand.”While this may not be quite fake news, it has taken on the form of infotainment. What Flaherty finds specifically worrying is the fact that people don't seem to care about the source of the information. In order to fight this, internationally, Ketchum has backed ,“ Project Look Sharp”, for media literacy (Ithaca College’s Project Look Sharp, a national program that offers tools and curriculum for educators to teach media literacy at all educational levels.) Flaherty says Ketchum is open to starting such an initiative in India if the opportunity came along. Ketchum already provides pro-bono support to girl’s education projects in India, namely the ’ Room to Read’ project. Ketchum is now exploring scaling up support in 2018. Internationally, Ketchum supports the cause of girl’s education via pro-bono services as well as fund raising support from within Ketchum employees. Ketchum has targeted 90 ‘Brainstorm’ sessions for charities including in India. Such data could include, looking at actual performance indicators. Flaherty said rather expand geographically Ketchum Sampark plans to deepen it’s practise by hiring new people for growth areas and concentrating on training. These high growth areas include Consumer technology, healthcare including insurance and Pharma, transportation and food and agro. Discussing the impact of social media on PR, Flaherty called it, “ God’s gift to PR.” He said that PR always had a challenge showing “tangibility of results” and now with social media that is possible. Links can be made between content and intent to purchase for example. The depth, breadth and width of engagement can be tracked. Flaherty said such approached can be more meaningful than earned media. Sharing the example of Skoda, Ajay Sharma, president Ketchum Sampark, who was also present during the interaction said that a piece of content about the car on 'Huffington Post' was able to provide both customer complaints' information and sales leads. Sharma also said that the parameters of content are changing, search trends for example are useful pegs for storytelling. Adding further insight on this subject, Flaherty said that consumers today are In a situation where they don't search for news, news has to find the. This means setting a higher bar for PR than ever before for content performance. Flaherty said that this means combining the right and left brain, often seen as contradictory skills. Flaherty said that the data geek whether from media buying or either data streams is set to become the coolest person in PR and communications who can now provide crucial insights.